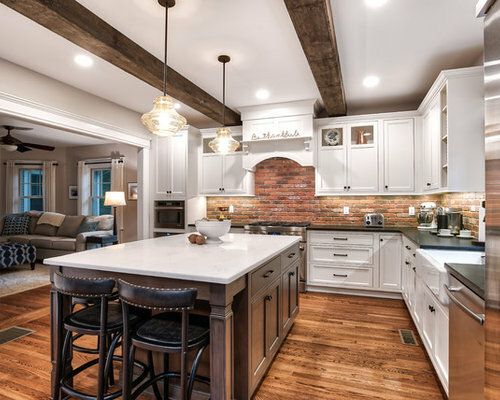 This open concept space in the kitchen, bar, and dining room makes this home feel inviting. 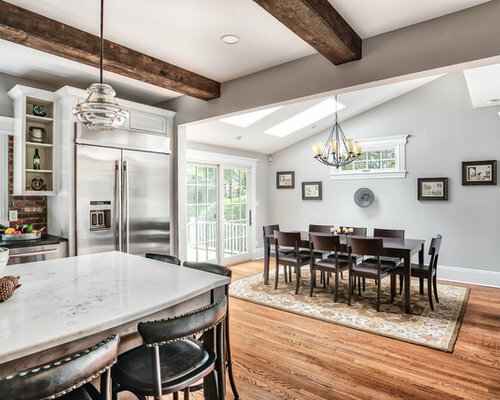 We converted the renovated bar space from the old kitchen and gave this family a beautiful new open kitchen and dining space for their family to enjoy. 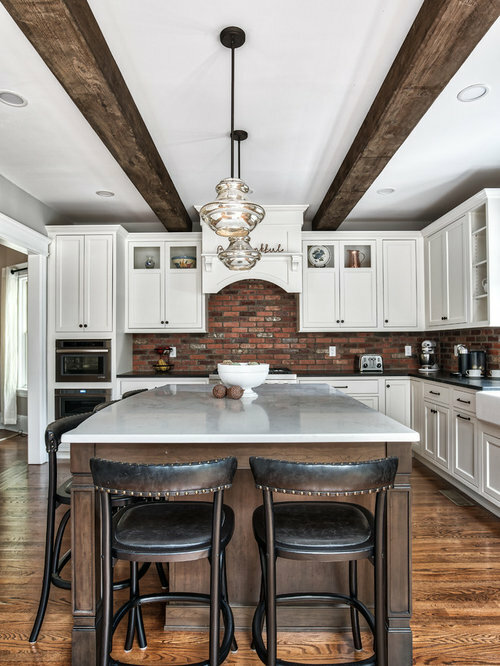 The reclaimed wooden beams complement the exposed brick and sliding barn pantry doors. 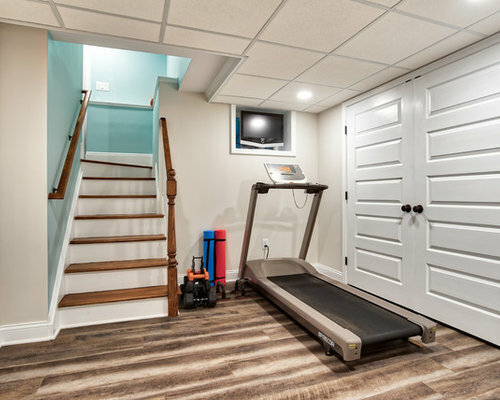 The renovated mudroom flows perfectly into the redone basement, great for working out at home, housing guests, or playing games in the playroom. 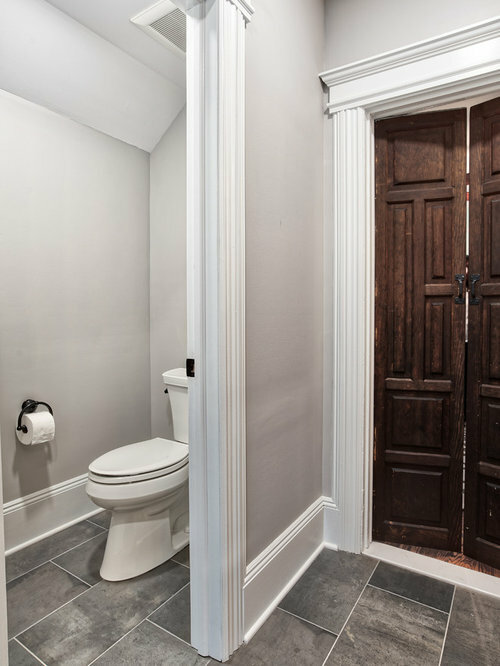 Upstairs, the master bathroom en suite is transformed into a modern, classic bathroom using the original doors to this colonial house. 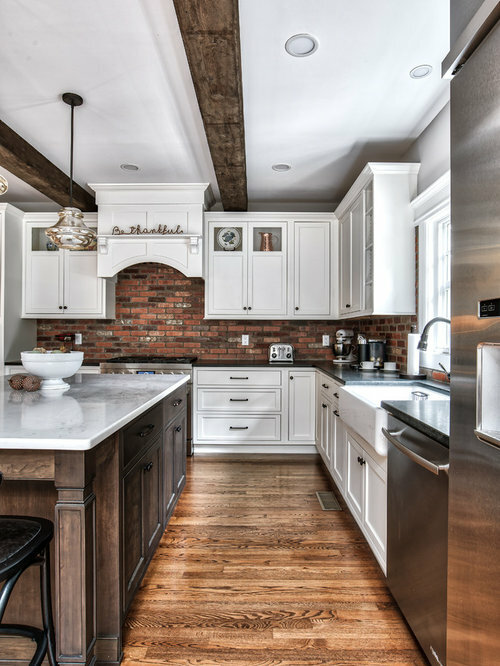 Classic white kitchen with black counter tops, contrasted with a wooden island and white counter tops. 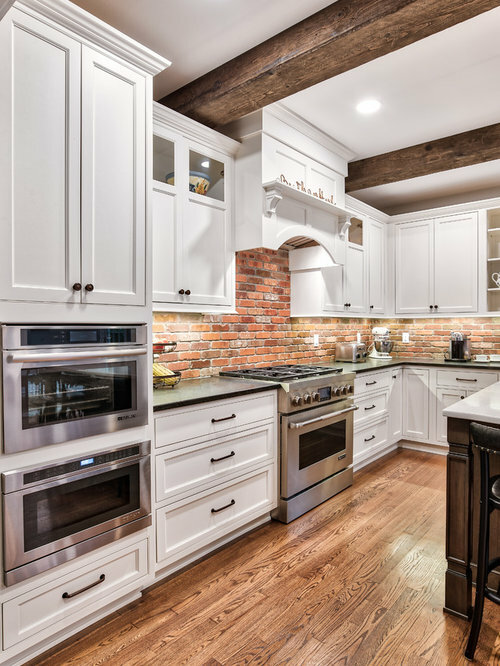 Exposed beams and exposed brick give this kitchen a farmhouse feel. Photos by Chris Veith. 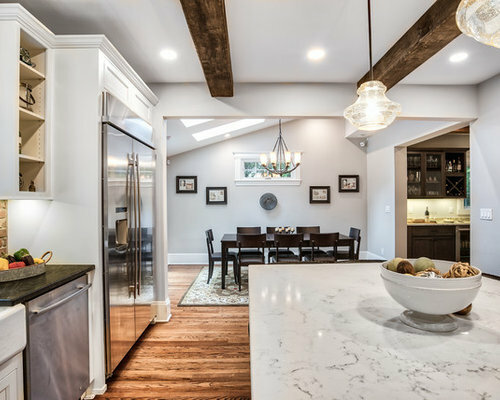 Reclaimed wooden beams look stunning with these glass pendant lights above the island. Photos by Chris Veith. 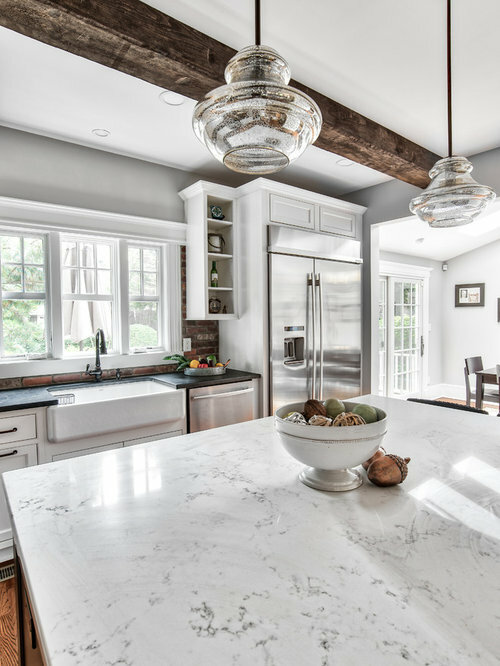 Natural light pours into this kitchen and shows off the contrast of the wooden island with the clean white cabinets. The storage space in this kitchen is endless! Photos by Chris Veith. 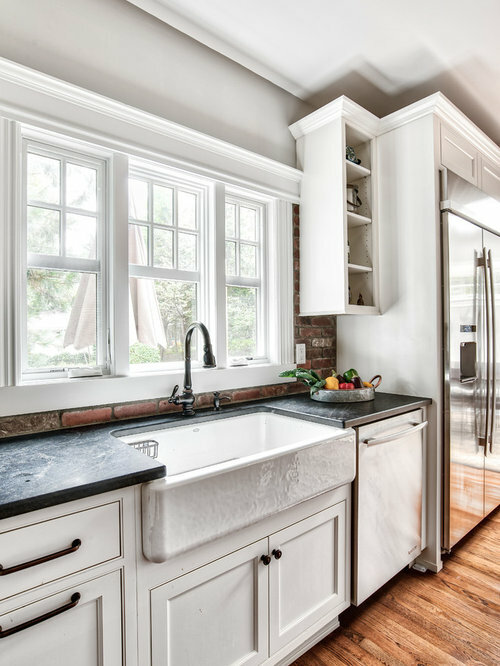 Large white farmhouse sink looks beautiful surrounded by black countertops. Photos by Chris Veith. Close up of this microwave and steam oven; a must have for making meal time easier. Photos by Chris Veith. 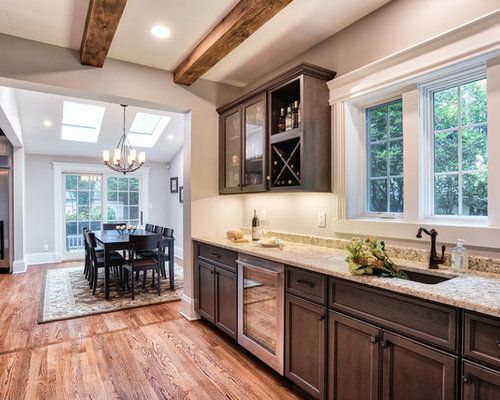 Glass pendant lights go beautifully with this counter top and wooden beams. Photos by Chris Veith. View walking into the kitchen/dining space from this homes family room. Open concept floor plans make it easy to keep track of the family while everyone is in separate rooms. Photos by Chris Veith. Open concept layout allows you to be in the kitchen while you socialize with those gathered around the dining room table. Photos by Chris Veith. 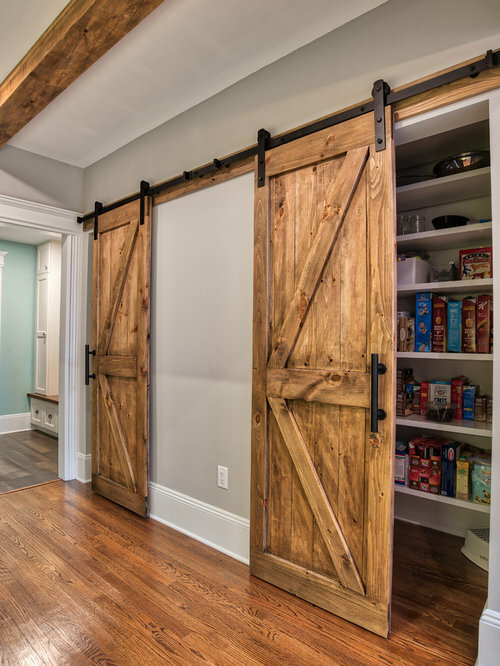 These barn doors are beautiful and functional. They open to the pantry and the broom closet, both with built-in shelving. Photos by Chris Veith. The Kitchen and Dining room areas flow right into the bar area. This bar is stocked with a beverage refrigerator, glass cabinets and a wine wrack. Photos by Chris Veith. 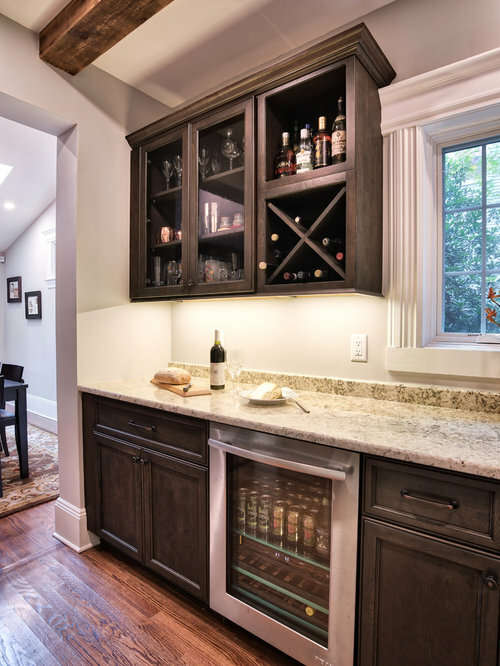 The perfect place to fix yourself a drink; wet bar complete with wine refrigerator and wine rack. Photos by Chris Veith. 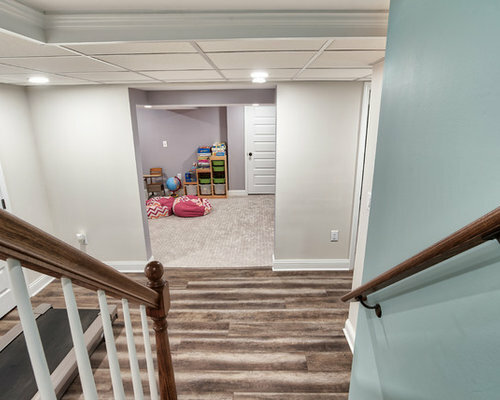 Entrance into the basement from the side door - completely converted this non-usable space into a great play area/gym/guest bedroom. Photos by Chris Veith. Home gym area with a space for a TV to watch while you workout. Photos by Chris Veith. 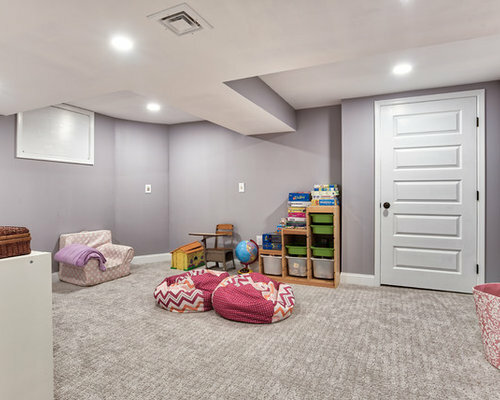 Renovated basement turned playroom for the children of this household. Photos by Chris Veith. 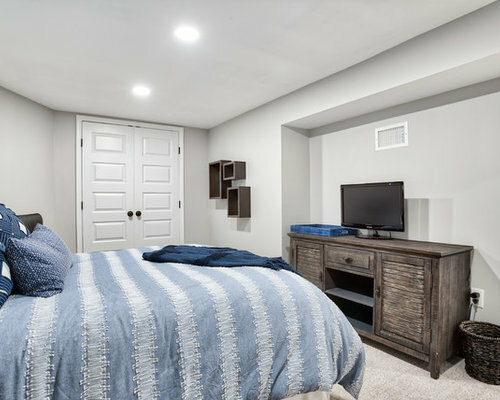 This cozy guest bedroom is located in the newly renovated basement of this house. 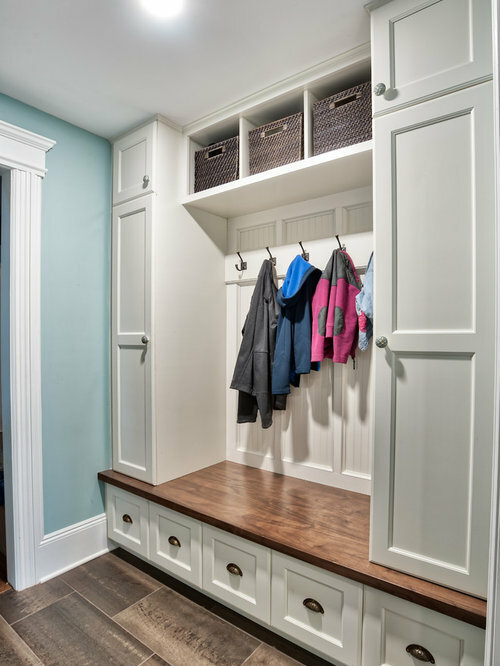 Double door closet is a great storage space. Photos by Chris Veith. Renovated full basement bathroom. Perfect for your guest staying in the room next door. Photos by Chris Veith. 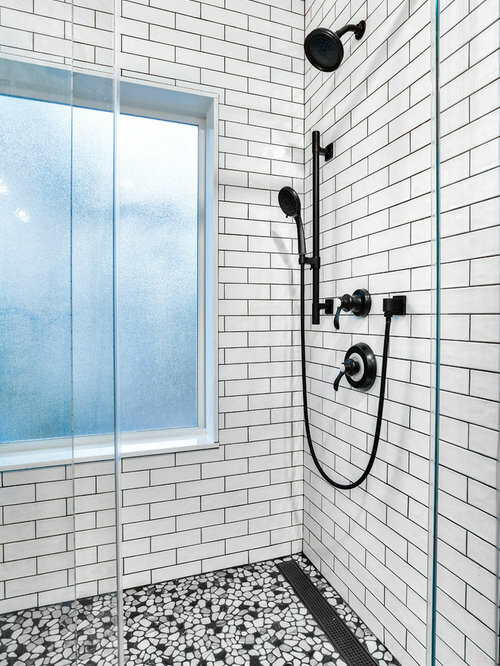 Large basement shower for guests. 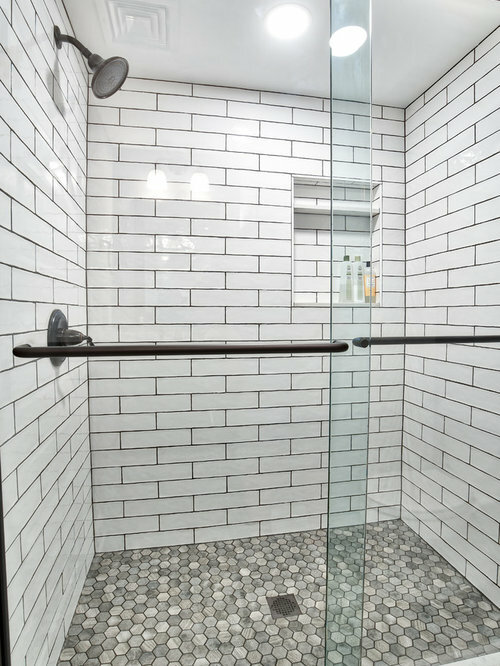 White subway tile with dark grout and a tiled floor makes the white look crisp and clean. Photos by Chris Veith. 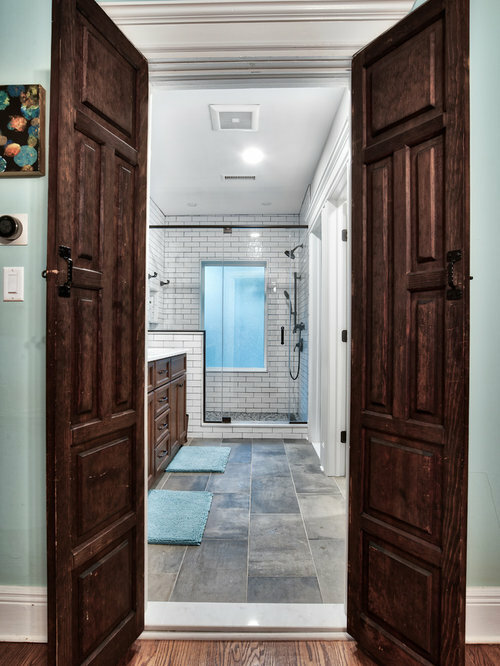 Original doors incorporated into a new design for this master bathroom. Photos by Chris Veith. 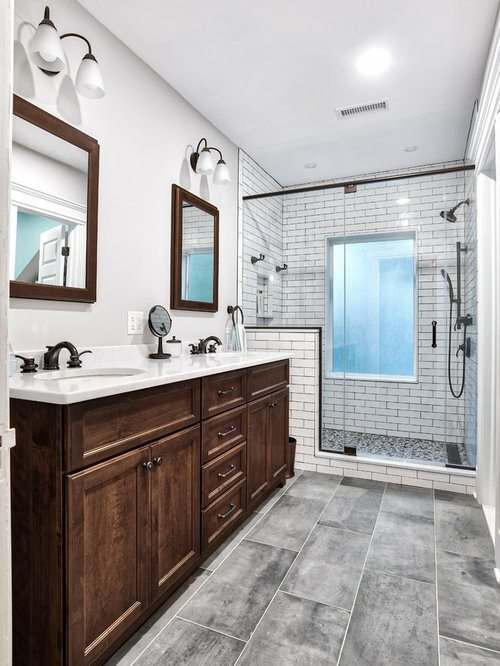 Crisp master en suite with white subway tile and a double vanity for his and hers. Photos by Chris Veith. 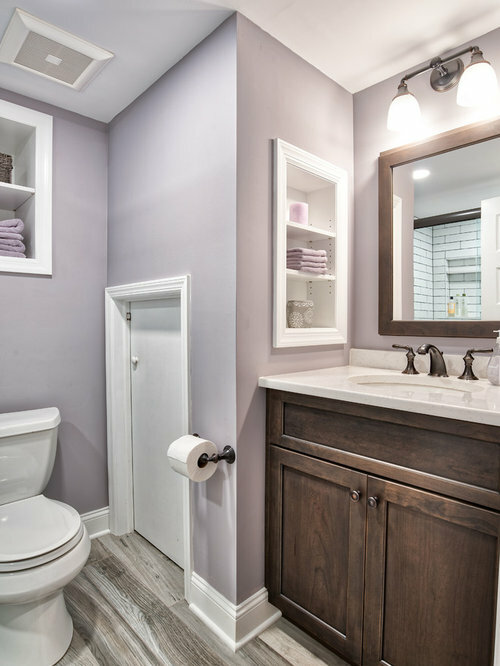 The toilet in this master bath is private from the rest of the ensuite. Photos by Chris Veith. White subway tile with dark grout to make it pop. Pebbletile floor in the shower is a nice touch. Photos by Chris Veith. 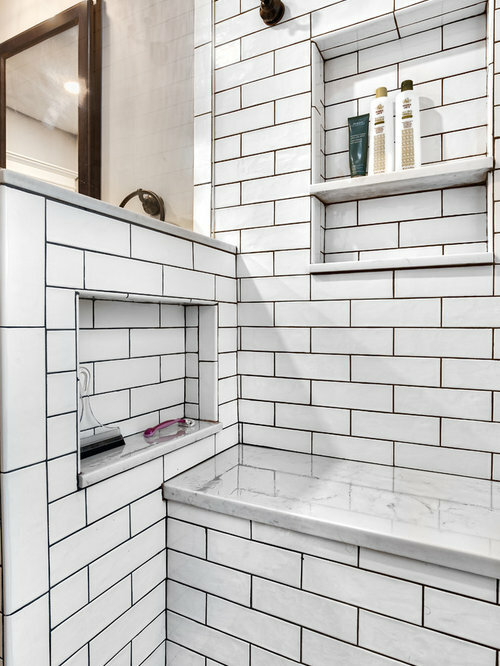 This shower bench is perfect for shaving your legs and a shower cubby is perfect to hold any shower accessories you may need. Photos by Chris Veith. 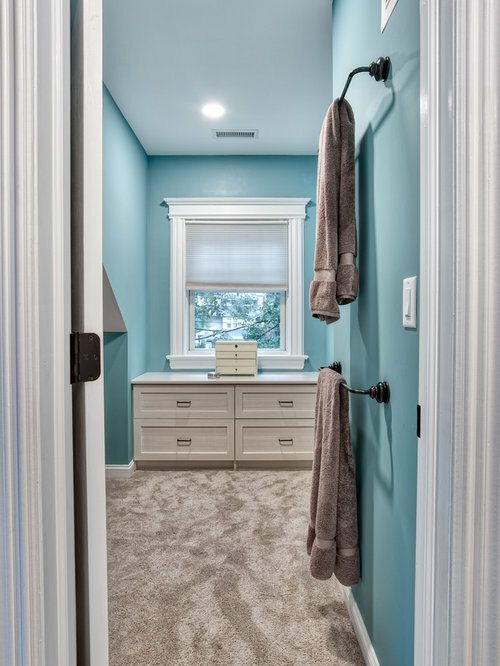 Access to this spacious closet is through the bathroom - perfect for getting ready in the morning and complete with cabinets to store things. 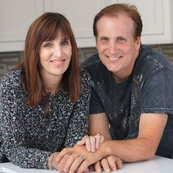 Photos by Chris Veith.